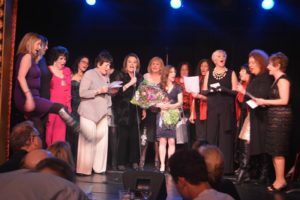 The FIRST Talent Show for Women Over 40! A Night of Dreams! 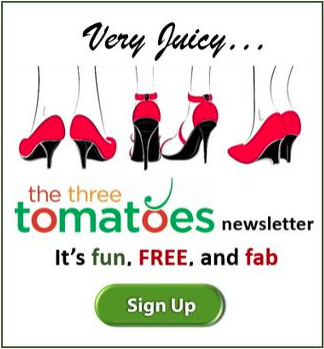 Our second “Tomatoes Got Talent” show took place, Tuesday, February10 at Stage 72/Triad. 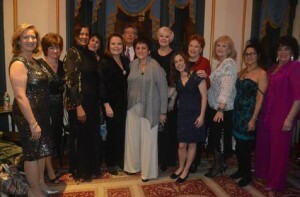 Randie Levine-Miller hosted and co-produced the show with us. The show features talented women over 40, some of whom once had dreams of show biz careers, but life took them in other directions. The show gives them a chance to take center stage and inspires all of us to never give up on our dreams. Top prize went to Susan Vardy, who has a PhD in clinical psychology (and is President of her local PTA). Runners up were: Judith Ann Graham, (former Miss NY State in the Miss America pageant), author, teacher and makeup artist; Jayne Magdalen Traver, 8th grade English Teacher; Phyllis Mollen, an administrative assistant at NY Hospital; and Angela Leone, a technical expert for the Social Security Administration. 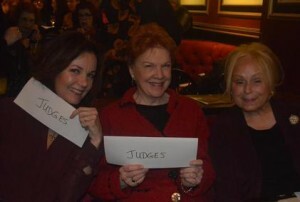 The winner and runners up will all perform in “Randie Levine-Miller’s Showstopper Divas” Show which will take place on Tuesday, June 16, 2015 at Stage72/ Triad— Net proceeds will benefit a charity. Our winner, Susan Vardy wow the crowd and the judges. Here’s her full performance. In the green room before the show. Everyone looks so calm! 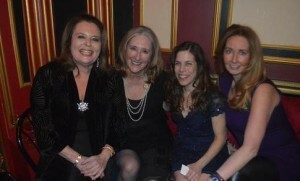 Co-producers Randie Levine-Miller and Cheryl Benton, with winner Susan Vardy and 3Ts Roni Jenkins. Many thanks to the Brownstone Women, Lia Schorr Skincare, and Starbright Floral for providing wonderful gifts for our winner!